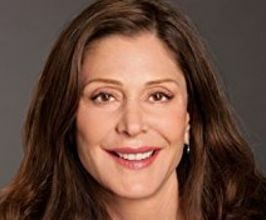 Lauren Diane Shuler Donner is an American film producer, who specializes in mainstream youth and family-oriented entertainment. She owns The Donners' Company with her husband, director Richard Donner. Her films have grossed about $4.5 billion worldwide, mostly due to the X-Men film series. Donner was born in Cleveland, Ohio, the daughter of a wholesale distributor and a housewife. She was raised in Cleveland, where she took on photography and frequently went to the movies with a cousin. She studied film at Boston University, specializing in production and editing. Following the advice of a teacher, she moved to Los Angeles in hopes of entering the entertainment industry. As Donner worked in Los Angeles as an assistant editor of educational and medical films, she sought other jobs and despite having no original intention to work in television, a chance meeting at NBC headquarters lead her to leave her data there. In 1973, the network invited Shuler to a vacation relief program filling in for employees on vacation. She worked on many jobs, but decided that the best for her would be as a camera operator due to her photography experience. After being taught about cameras by the crew of The Tonight Show, Shuler asked NBC to work on the local news. Afterwards she freelanced on Metromedia, working on rock concert shoots, sitcoms and TV movies. Donner was a rare camerawoman in a male-dominated field, being the first woman admitted to the IATSE Electrical and Camera Guild #659. Eventually Donner decided to work as an associate producer, in 1976 joining ABC's Wide World of Entertainment. After a traffic accident that had her hospitalized for months, Donner started working with screenwriter friends and became a creative executive/story editor on Motown Productions. Her input on the script of Thank God It's Friday (1978) led her to become an associate producer for that film. Next she made her television producing debut in 1979 with the acclaimed Amateur Night at the Dixie Bar and Grill, a television film written and directed by Joel Schumacher in the style of Robert Altman's Nashville. She got the job by directly asking NBC programming director Charles Engel. While working at Motown, Donner became a personal friend of National Lampoon writer John Hughes, and convinced him to write a script that would become her feature film producing debut, the 1983 comedy hit Mr. Mom, starring Michael Keaton. The following year she persuaded Richard Donner to direct Ladyhawke, and the two fell in love, marrying a year after the film got released, 1985. She produced only two more of her husband's movies, Radio Flyer, and Timeline. She said their professional relationship helped her learn how to work on action films: "if I hadn't seen how he did action movies, I wouldn't have had the wherewithal to even pursue an X-Men or a Constantine, or any of those". Her experience with Schumacher and Hughes led them to invite her to produce St. Elmo's Fire and Pretty in Pink, both seminal films of the Brat Pack period. Donner had a particularly successful year in 1993 overseeing two solid hits: Dave, a homespun political comedy, and Free Willy, a family film about a boy and his whale. All American Speakers is a speakers bureau and booking agency providing information on booking Lauren Shuler Donner for speaking engagements, personal appearances and corporate events. Contact an All American Speakers Bureau booking agent for more information on Lauren Shuler Donner speaking fees, availability, speech topics and cost to hire for your next event. Please Note: All American Speakers Bureau acts only as an entertainment broker/producer for corporate functions, private engagements and special events. All American Speakers Bureau does not claim or represent itself as the exclusive agent or management of Lauren Shuler Donner or any artist on this website. Speaker fees are determined based on a number of factors and may change without notice. Fees often vary based on a number of factors including: speakers schedule, supply and demand, length of presentation, location of event and other factors. Fee Ranges listed on this website are intended to serve only as a guideline. In some cases, the actual price quote may be above or below the stated range.